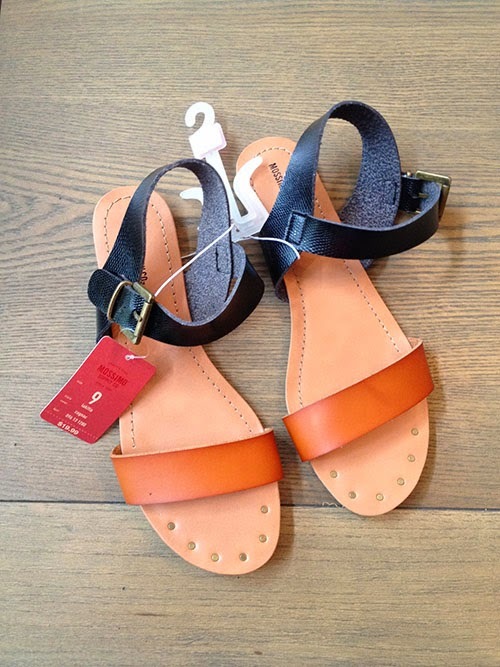 J Crew beauties look mildly affordable, but I am still not the type to pay $200 for sandals. 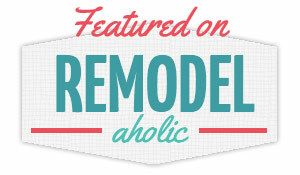 When I saw this awesome DIY knockoff by Grace over at Stripes & Sequins, and I knew I had to do it! I recruited my best friend for a leisurely crafternoon, and we got started. Our canvas? These $20 Target sandals (currently on sale for $15 online). We went for two separate looks; She used jewels from Michael's while I repurposed a turquoise necklace I already had. 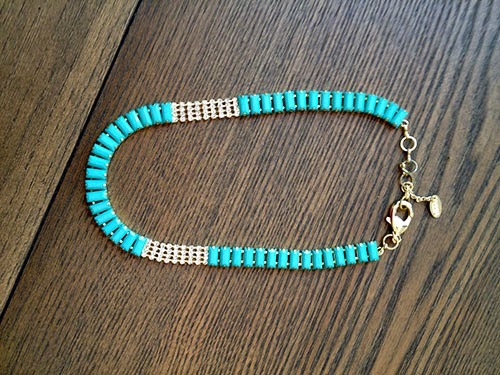 I happen to LOVE wearing turquoise jewelry in the summer, so I know I'll get a lot of wear out of these. It's as simple as you think. Glue on your jewels with E6000® Craft Adhesive and wait for them to dry. 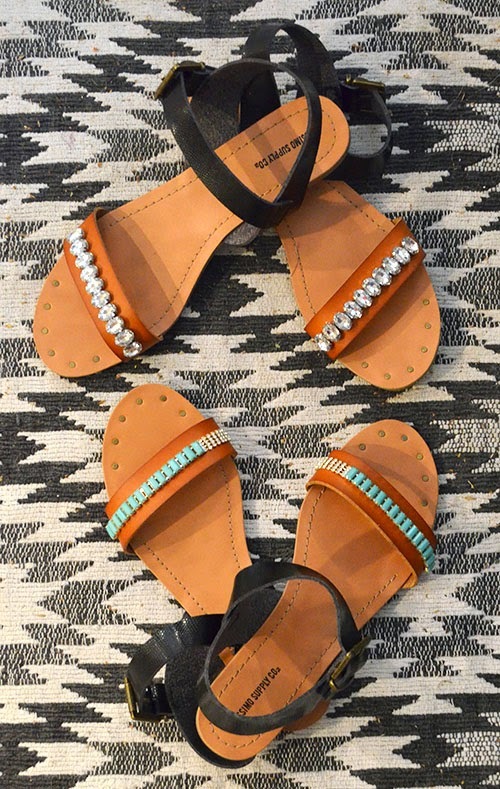 I mean, how cute are our new sandals? !